Lisa loves John: 2015 Calendar Picks! 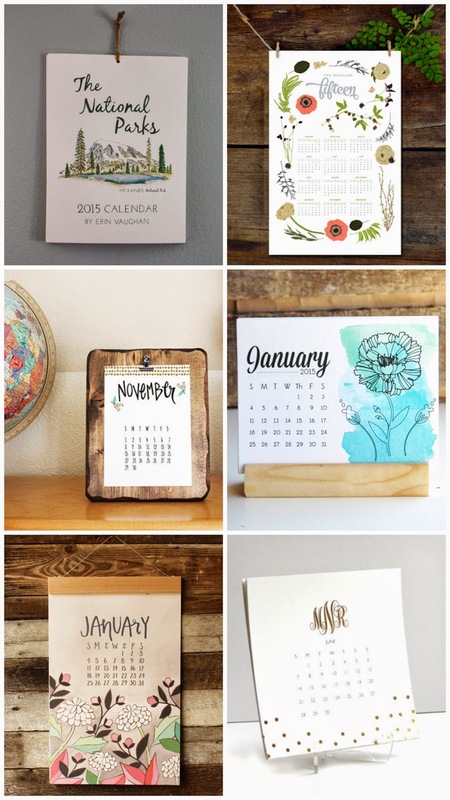 I love the botanical calendar, I need to get one to put in my cube at work!! Ohhh I love that monogrammed gold foil calendar! I think I need it!! Those are so pretty! I think the National Park ones would be cool. I always have to have a wall calendar in my office and I'm finally jumping on the planner train this year. Hope you had a good holiday girl! These are all so pretty! I was on the fence between a few but went with a fun one I found on Amazon. I'd like to get a smaller one for my desk area so I might check a few of these out. Oh I love all of these!! I reallyyyy need to order one! Could I have one of each of these please?! Love these picks! Love all of these! However, I'm leaning towards the wooden plaque one! Oh I love the clipboard calendar. but lets be real...I love them all! I have been loving Sugarpaper calendars at Target. They have all sizes and planners as well. One of my favorite parts of a New Year is a new calendar and planner/agenda! These are some great options! Love these calendars! I was gifted a white & gold desk calendar earlier this year, and I'm so bummed it's almost time to toss it. This post just reminded me that there are SO many more cute options out there for 2015. :) Happy New Year! Love the National Park Calendar! It is stunning, and stirs up the wanderlust inside us all! :) Looove! There are so many cute options out there! I love the sugar paper line that Target carries, they are still just as beautiful as the ones you can get from sugar paper for a fraction of the cost! So many great options! Partial to the top and bottom right!